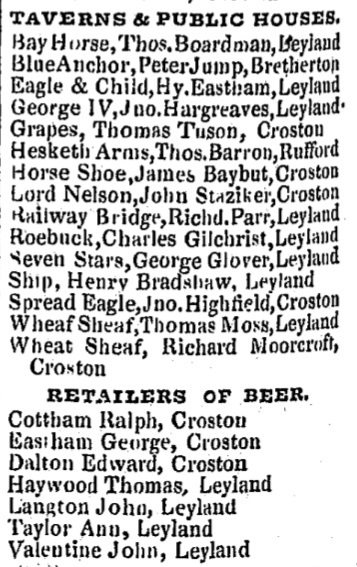 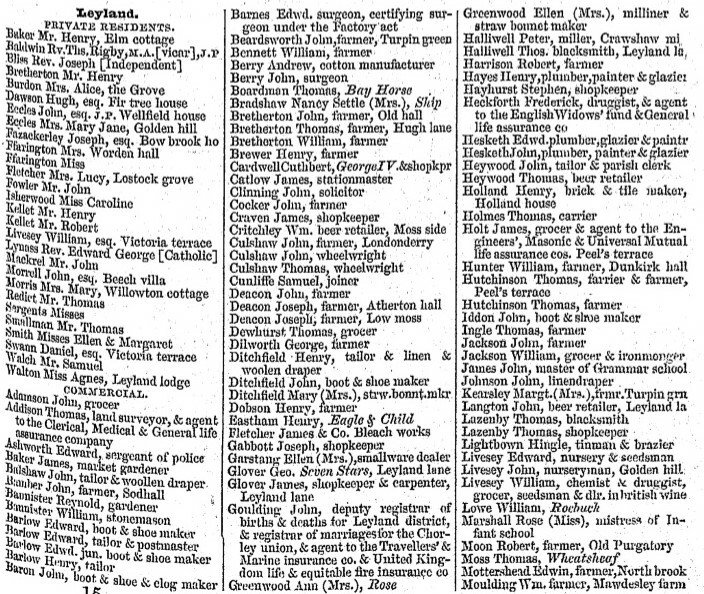 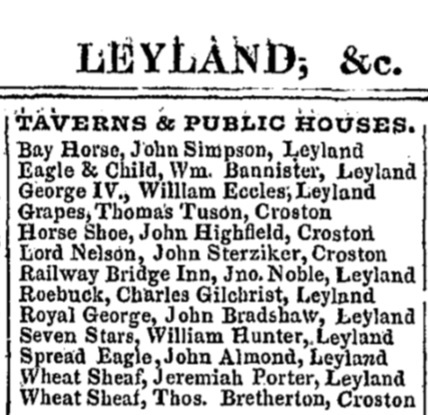 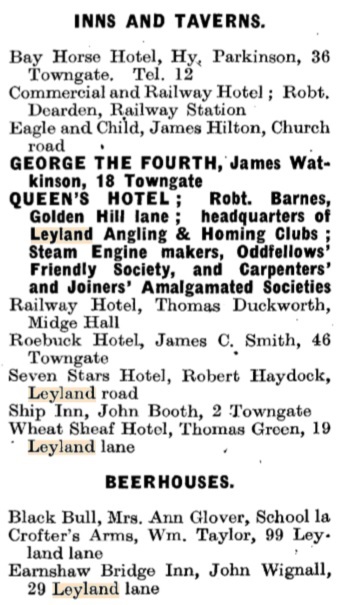 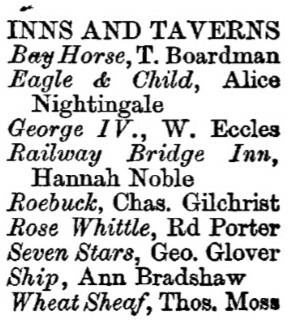 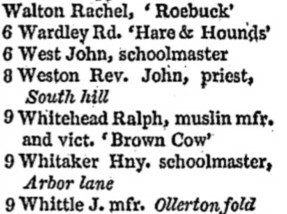 First reference to the Roebuck I can find is on the 1824 Baine's directory below when Rachel Walton was the listed landlady. 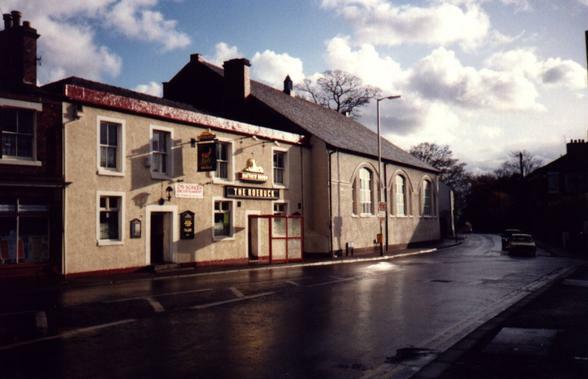 Prior to that time the pub was reportedly known as "The Stage" although I can find no documentary evidence to support this. 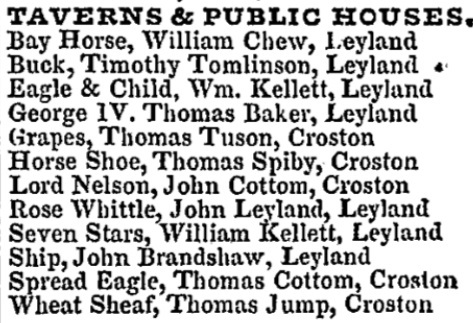 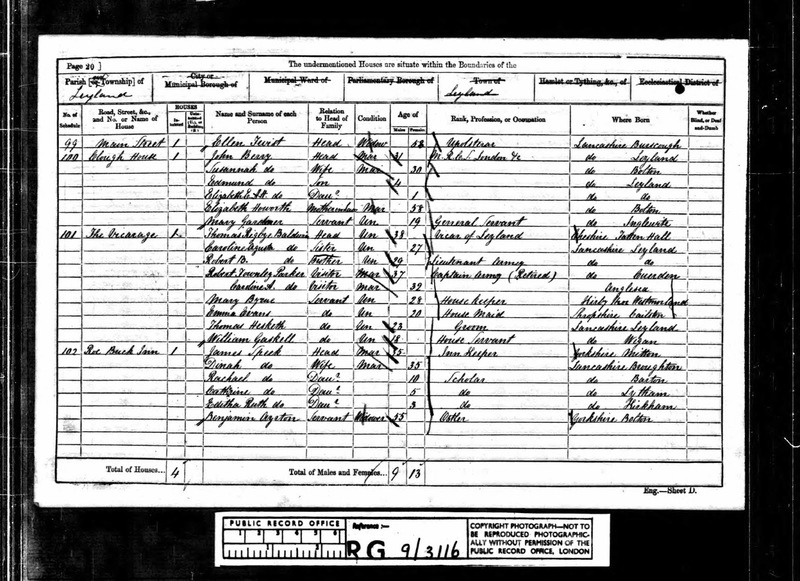 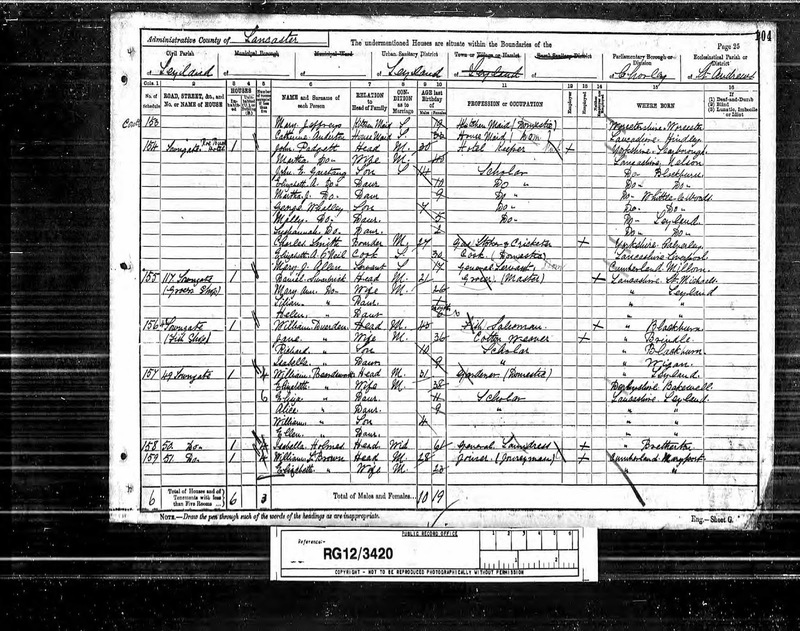 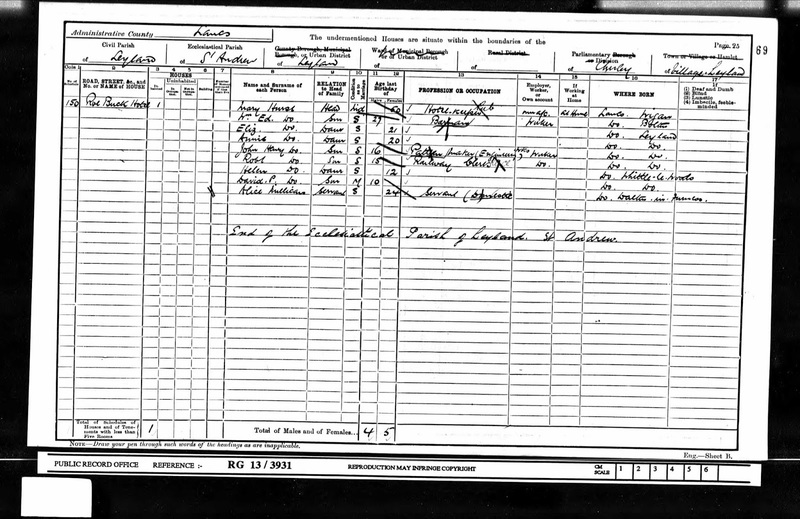 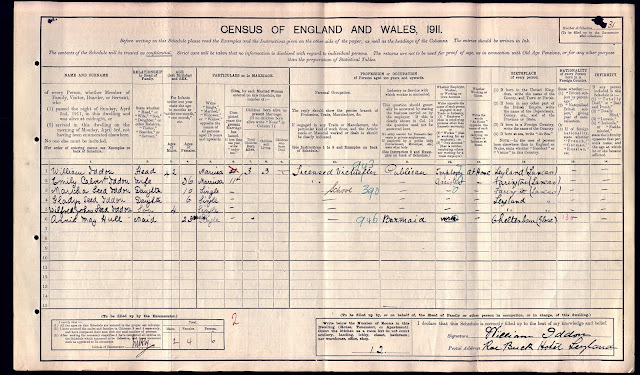 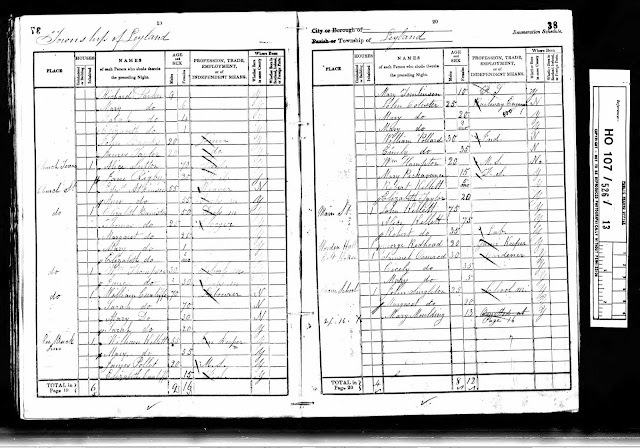 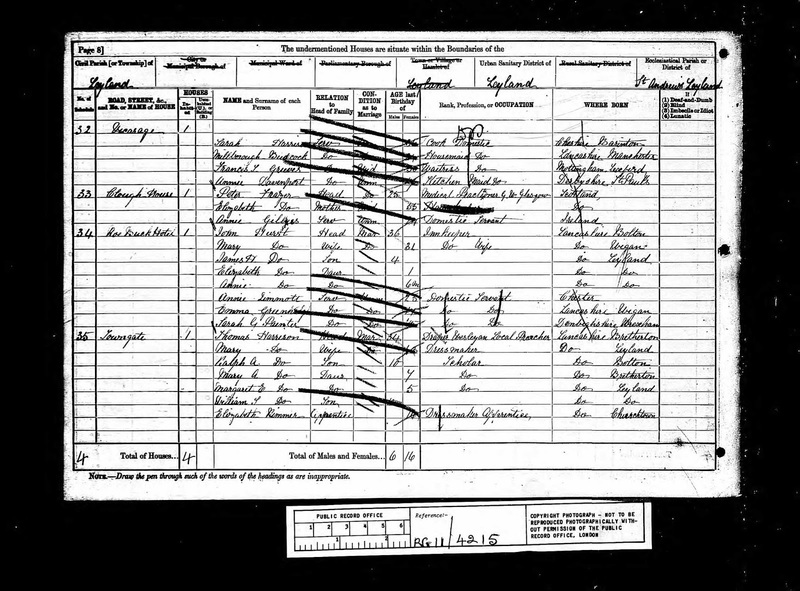 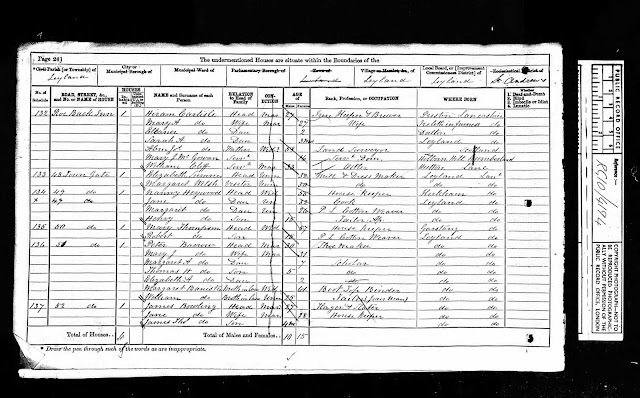 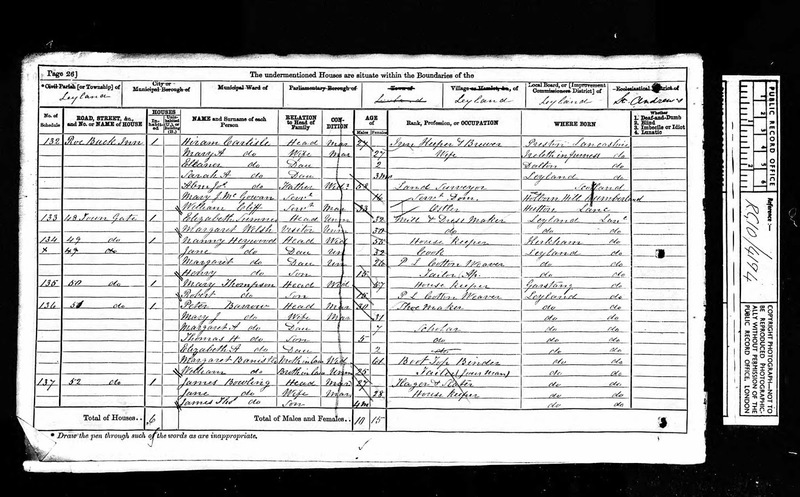 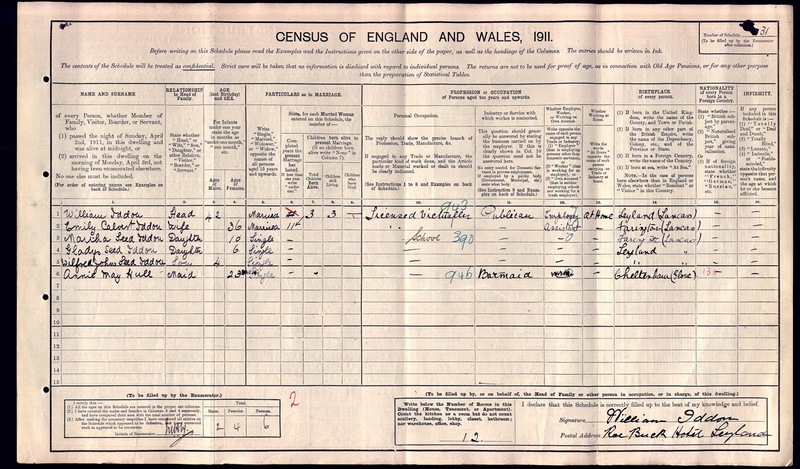 Subsequent landlords were Timothy Tomlinson (1834), William Kellett (1839-41), Charles Gilchrest (1846-55), William Lowe (1858), James Speck (1861), James Leyland (1869), Hiram Carlisle (1871-72), John Hurst (1881), John Pagett (1891), Mary Hurst (1901), William Iddon (1911) and James C Smith (1917). 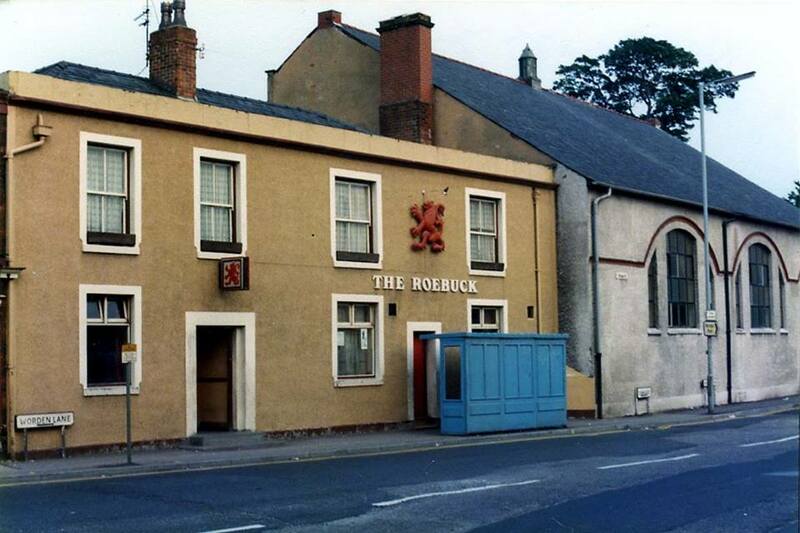 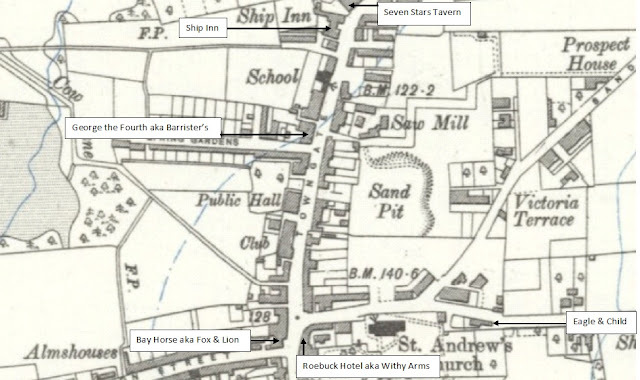 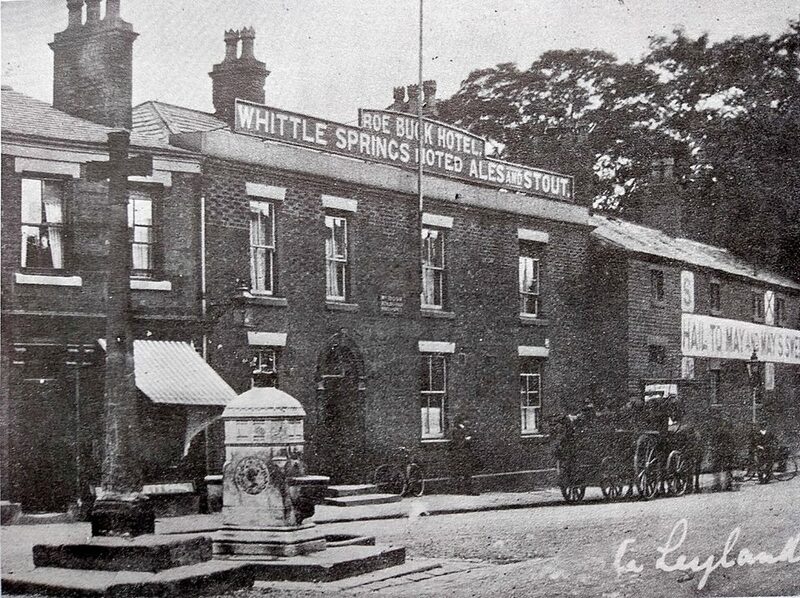 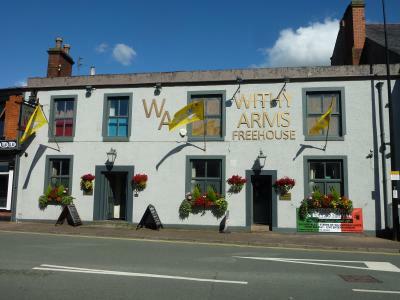 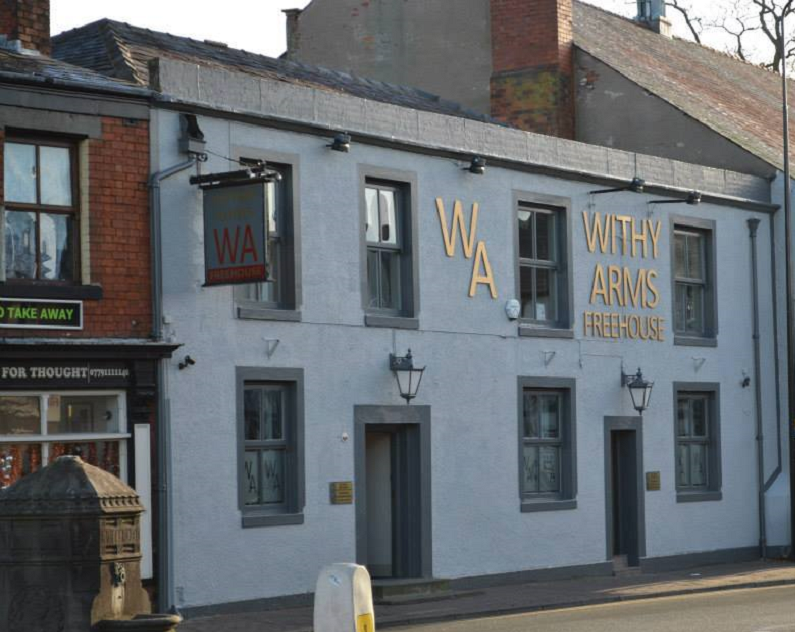 Nowadays the pub is called the Withy Arms but for most of its existence it has been the "Roebuck" or "Buck Inn". 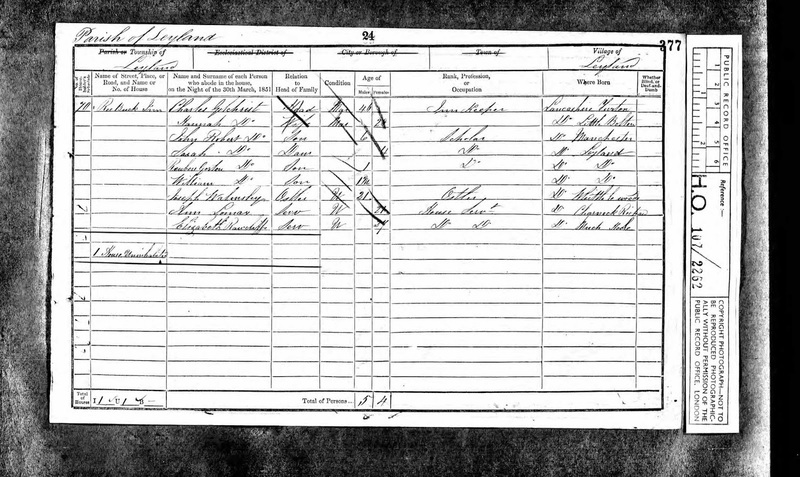 Marriage: 31 Jan 1839 St Andrew, Leyland, Lancs.